Negril, Jamaica is known for Seven Miles of beach, alongside cliffs, beautiful bays and the most stunning sunsets. 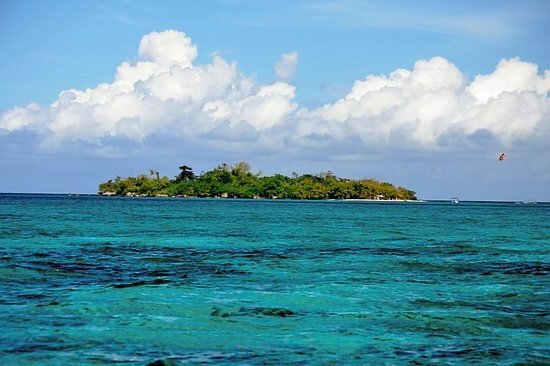 Located on the western edge of Jamaica, the area is perfect for swimming, snorkeling and scuba diving. If the golden sand and sunshine isn’t inviting enough, there are plenty of other unique sites to see. A colorful reggae bus will pick you up from your hotel, along with 7 or 8 other people. Cool opportunity to meet people! 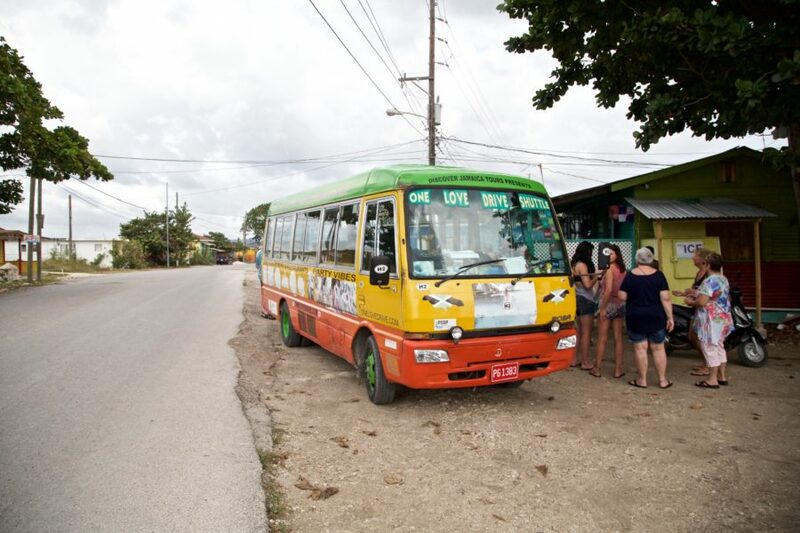 Then the One Love Bus will drive to different bars around Negril. Easy as that! 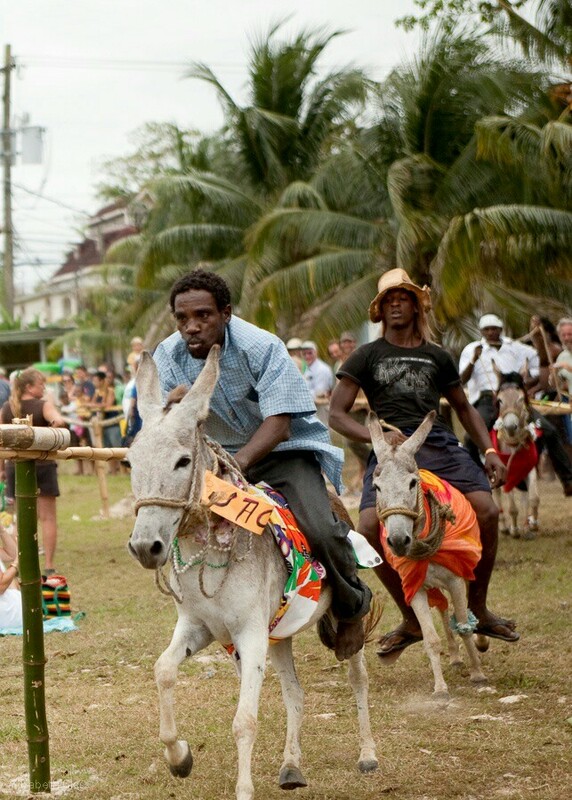 Each February, Negril Rotary Club holds an annual charity event unlike any other, Donkey Racing! Locals and tourists can enjoy music, games, contests, food booths, plus much more! Just off the shores of Negril, sits a little island, Booby Cay. The island is named after the Booby birds inhabiting the island. Visitors love Booby Cay for the spectacular snorkeling, scuba diving and swimming. Booby Cay has seen some fame, as it was filmed and used for many scenes in the movie 20,000 Leagues Under the Sea. Come to watch the divers jump off the 60 foot cliff, jump off the cliff yourself or take the ladder down to swim around. The water is known to have therapeutic properties to energize and refresh your body. There is also a saltwater swimming pool on sight, and the bar doesn’t close until the last person leaves! 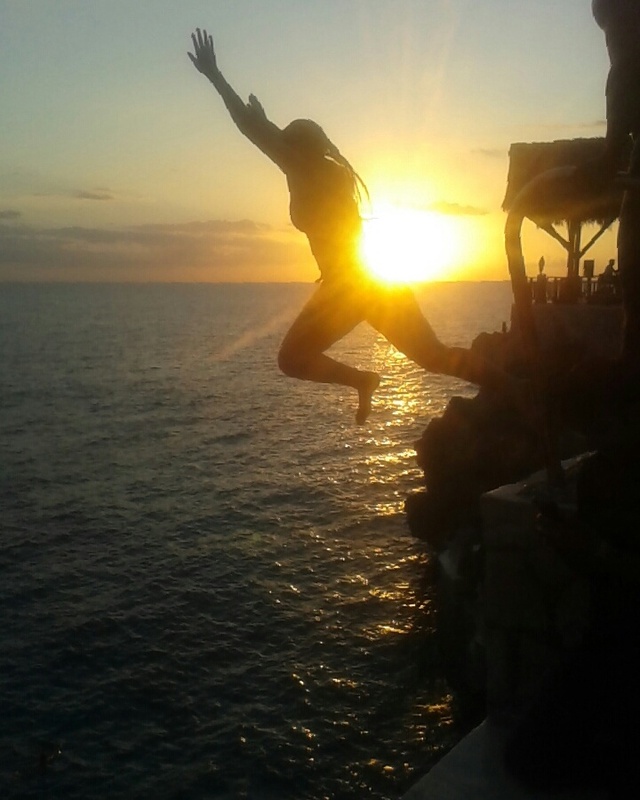 Ricks Café is resting on the cliffs edge in west end Negril. Take a jump into the crystal clear water, while you watch dare-devil divers do leap from the tree tops. 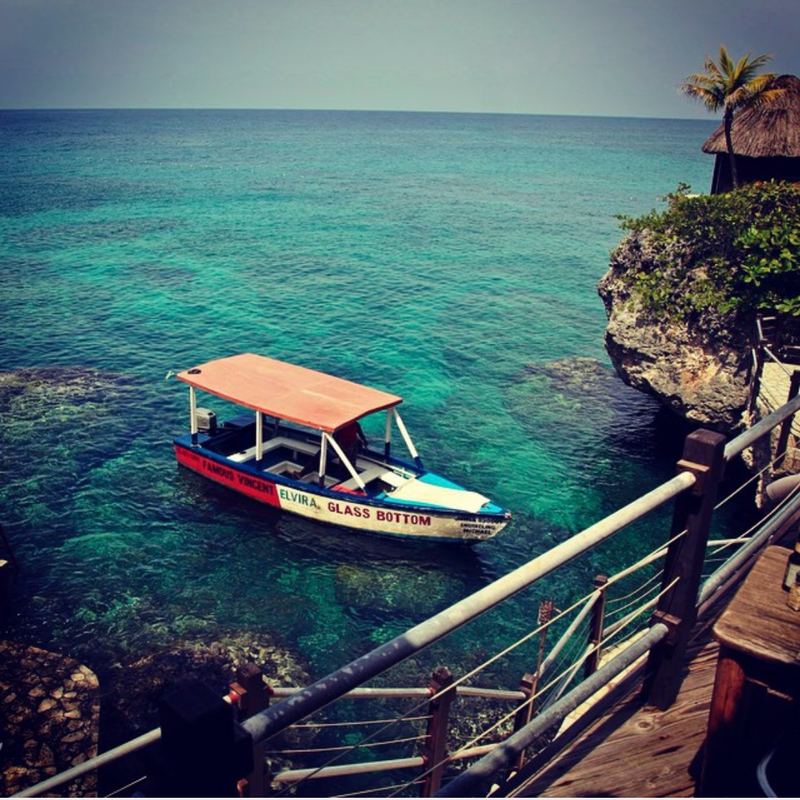 Negril is located at the most western tip of Jamaica. The seven miles of beach situated against the cliffs, just makes for the most amazing sunsets. One of my favorite places on earth! You should do a follow up story on Jamaican food. Hey that’s a great idea Melissa! What’s your favorite?